If you are confused with all the different letters for the 10G transceivers family, this article is for you! 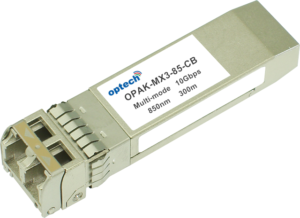 Here we are going to explain the main differences between the four types of 10G transceivers which differ from the time they were introduced into the market, the size and the type of connector. XENPAK: It is the first 10G transceiver to be introduced to the market. The XENPAK is characterized by its large size and SC connectors. X2 : It is the successor of the XENPAK. Brought to the table a reduced size but still using SC connectors. 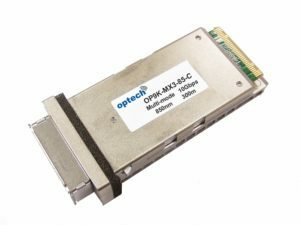 XFP : The arrival of 10G XFP transceivers brought a big change compared to the previous XENPAK and X2 by considerably reducing the size of the transceivers and changing the connector type to LC connectors. SFP+ : The 10G SFP+ transceiver, the newest 10G transceiver, is an enhanced version of the SFP. It has the smallest size of all the 10G transceivers introduced above. The SFP+ is also using LC connectors like the XFP. Even if the 10G SFP+ is the most used now, due to its compact size, the Xenpak, X2, and XFP are still used and available on the market. They can all be interconnected if the right optics and connectors are used. 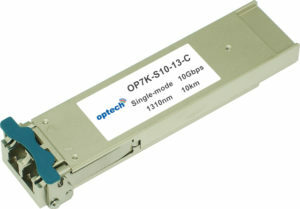 The latest innovation in the 10G transceivers family is the 10G SFP+ Copper which offer many advantages. The 10GBase-T SFP+ transceiver offers 10 gigabit Ethernet communication and supports links up to 30m using Cat 6a/7 with a RJ45 connector. 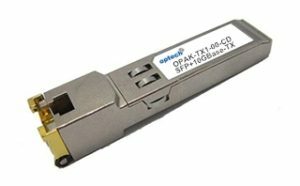 You can read more about the 10GBase-T SFP+ and see all the switch brands compatible with Optech’s 10GBase-T SFP+ Transceivers here. 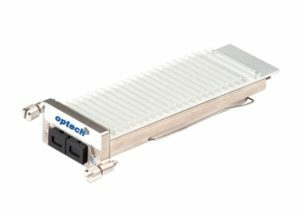 For more information you can visit www.optech.com.tw or contact us sales@optech.com.tw.